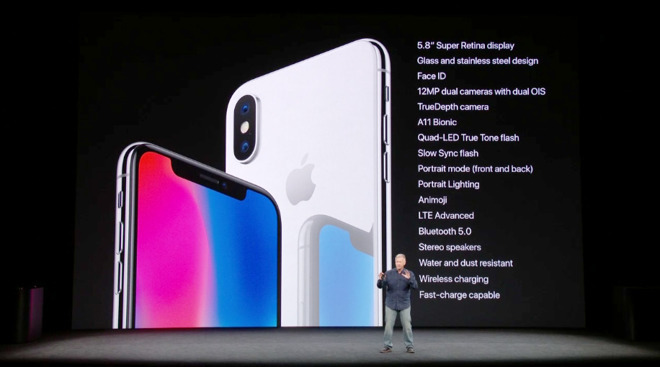 Preorders of the iPhone X are off to a strong start, Apple commented on Friday, reflecting the long delays already facing prospective buyers. "We can see from the initial response, customer demand is off the charts," a spokeswoman told Reuters. "We're working hard to get this revolutionary new product into the hands of every customer who wants one, as quickly as possible." Shipping times for Apple's U.S. online orders have already been pushed out to 5 to 6 weeks. That means people unable to secure a preorder through another source, such as their carrier, will have to camp out in front of a store to secure an iPhone X before late November or December. Multiple reports have pointed to production shortages related to the phone's TrueDepth camera, used for Face ID and animoji. One analyst, KGI's Ming-Chi Kuo, has estimated that Apple may have just 2 to 3 million units ready for the product's Nov. 3 launch —a tiny amount given plans to roll out in dozens of markets worldwide. The demand comes despite a $999 base pricetag, without tax, accessories, or AppleCare+. A top-end 256-gigabyte iPhone X costs upwards of $1,149.